Quite frankly, crooked teeth can be annoying. While most individuals who have crooked teeth would love to fix it, they don’t know the process involved in doing so. As a result, most people decide to live with their misaligned teeth, thinking the options are too expensive or embarrassing. However, the process of fixing crooked teeth isn’t as complicated as it seems. By following these four steps, you can quickly get your teeth aligned adequately without fearing the braces are too revealing in social situations, which is a significant concern for most people. The first step to fixing crooked teeth is to schedule a consultation with an orthodontist. A meeting with an orthodontist is straightforward, and there isn’t any actual procedure that takes place, which should calm any nerves you may have going in. When visiting an orthodontist, you will be able to determine the severity of your misalignment, the treatment options that are available and may perhaps be fitted for whatever method you are considering. Most orthodontist consultations are free, so there is no excuse not to at least find out what options are available to you and the associated costs with each important method. At the end of your consultation, the orthodontist will go over all of the treatment options you have available to you to fix crooked teeth. In most cases, the treatment options include various types of braces and clear aligners, which is often referred to as Invisalign. Although, Invisalign is typically only offered to individuals with a less severe degree of crooked teeth. While many adults fear that braces are too noticeable during social interactions, several options may be available that work to hide the braces from being blatantly obvious, including ceramic braces and lingual braces. After your orthodontist goes over all of the potential treatment options for crooked teeth, you will then have the opportunity to go home and review them and decide upon the option that works best for you. While braces are typically the most common and trusted form of treatment when correcting misaligned teeth, Invisalign generally is less expensive, if that is an option available. In the end, the decision is yours, and there is no wrong answer; the choice is entirely dependent upon your personal preference. After making your decision and embarking on the journey, whether it is braces, Invisalign, or another method, it is essential to follow through and stick to the plan of attack that was agreed upon by yourself and your orthodontist. If you choose Invisalign or braces, there will be moments when your teeth may hurt due to the adjustment taking place, be sure to stay strong and remember the end goal of straighter, healthier teeth. As long as you stick to the plan and follow any advice the orthodontist gives, you should be able to fix your crooked teeth in no time. Contact us today and let us help guide you in fixing your crooked teeth! 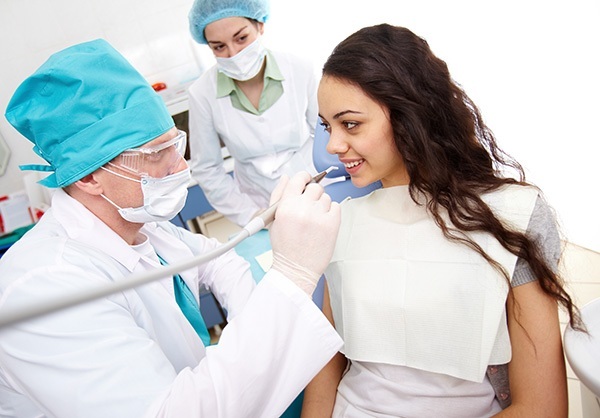 Request an appointment in our Stockton dentist office here: https://www.brooksideorthodontics.com.